Hello everybody! Today, I’m taking part in the Christmas Stocking Book Tag, which was created by Kate. Hello everybody! 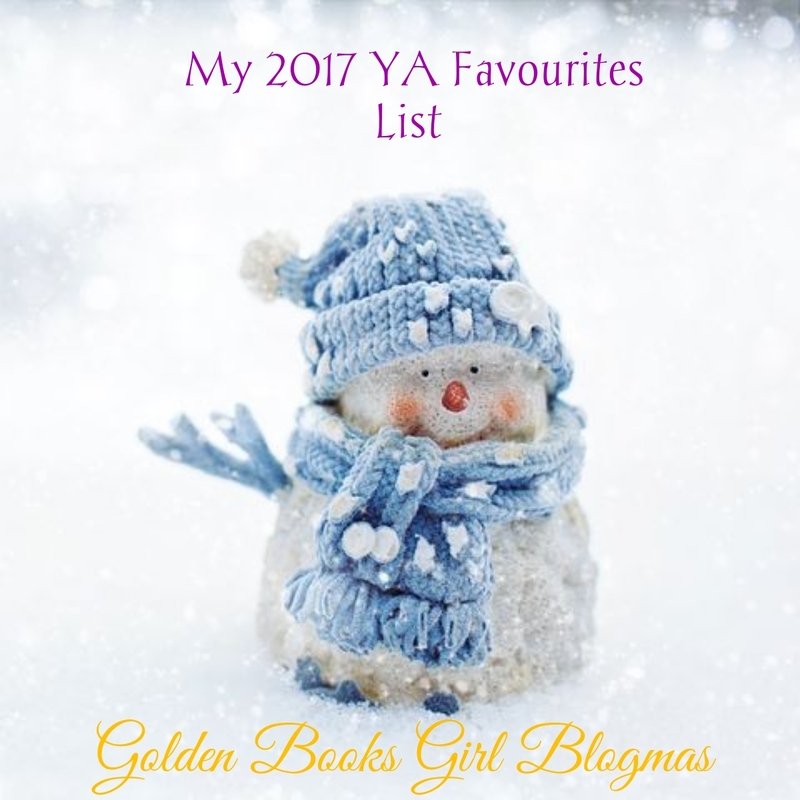 Today, I’m kicking off December with a Christmassy tag- the Bookish Naughty or Nice tag, which I was tagged for by its creator Jenn last year and have been saving since then. Onto the post! Today, I’m taking part in the blog tour for the Eye of the North, a fabulous new middle grade which is released this Thursday (you can read my review here) by interviewing it’s lovely author Sinéad. Onto the questions! 1. Can you please describe the Eye of the North in 5 words? Exciting, friendship, secrets, scary creatures! 2. What inspired the book? I got the ‘seed’ idea for The Eye of the North when I was about 21 (a.k.a a very long time ago), and I was working in an office job I really did not enjoy. I came up with a story about a girl named Emma Marvell working in an office job she really did not enjoy – that bit didn’t take much imagining – but her job involved the recording and cataloguing of artefacts relating to mysterious, mythical creatures which were sent in from all over the world by a team of roving explorers. (My job wasn’t half so interesting.) In the proto-story, when an explorer sends in a sample with a dodgy covering letter, Emma gets curious as to what he’s hiding and goes on the hunt to find out the truth. The published version is very different, but the core elements – mythical creatures, the North, a plucky girl and a stowaway boy – were there from the beginning. I have always loved mythical creatures and I’ve been fascinated with the polar regions all my life, so this story has been a long time brewing. 3. I saw lots of similarities between Emmeline and I. Which book characters would you say you`re most like? 4. I also adored her sidekicks Thing and Meadowmane. Do you have any favourite literary sidekicks? Siddy from Abi Elphinstone’s Dreamsnatcher trilogy always made me grin. I love all the kids in Katherine Rundell’s The Explorer, though I don’t think any can really be classed as a sidekick! Of course, the brilliant Malkin in Peter Bunzl’s Cogheart books is a sidekick we all need. The best hero/sidekick team in literature , though, is Pidge and Brigit from The Hounds of The Morrigan. I wish I had a Brigit to this day. 5. The adventure in the book is incredible. If you could choose any adventure, real or fictional, to take part in, what would it be? Because I trained as a medievalist in another life, I feel I must say I wish I could have been a pilgrim on Chaucer’s Canterbury Tales. I think I would have enjoyed an ale or two with the raucous, brilliant Wife of Bath! I would have loved to take part in a polar expedition, too – perhaps Scott’s, except without the tragedy. And of course I would have loved to see the battle between Iorek Byrnison and Ragnar Sturlusson alongside Lyra and Pan. 6. The book also reads like it would make a fabulous film. If it was ever optioned, do you have a dream cast? What a brilliant question! I think Ruth Negga would make a fab Sasha, and Oscar Isaac would be my choice for Edgar. I would love Dominic Monaghan for Mr Widget and Sophie Okonedo for Mrs Widget. As for the children – I think finding some new, undiscovered talent would be great! 7. This is your debut novel. What has been the standout moment of your journey to publication, and what are you most excited about after the book comes out? The standout moment, for sure, was the day my agent phoned to tell me she had sold the book to my UK publisher, Stripes. We had been waiting so long for a UK/Irish deal that I had given up hope of ever getting one, and so that was a true joy. It has been a very long path, and there have been many highlights, but that’s my favourite one. As for what I’m most excited by – I can’t wait to meet readers, interact with people who have read the book, and talk about it with children. It’s such a privilege to write for young readers; they are the best readers. I’m hugely looking forward to learning from them and finding out how I can keep improving as a writer. 8. Finally, before our quickfire questions, can you divulge any secrets about what your second book might be? 1. Hogwarts house? Ravenpuff? I am mostly Ravenclaw, a bit Hufflepuff! 4. Top 3 books of 2017? The Huntress: Sky; The Explorer; A Skinful Of Shadows. Thank you so much for reading! I’d love to hear your thoughts on the interview down in the comments or or on Twitter @GoldenBooksGirl! Hello everybody! Today I’m taking part in Top Ten Tuesday, which is hosted by That Artsy Reader Girl. Given the title, this may be slightly confusing, but for today’s list I’ve decided I only wanted to have 5 I actually intend to attempt rather than 10 I’m writing just for the sake of it . Onto my resolutions! 2) Reread more– I’ve always been a big rereader, but I did it very little after my blog began. At the end of 2017, I did a few rereads and it was such a joy. Three I’m especially determined to achieve (as they’re lengthier) are the My Sister the Vampire series, the Adventure Island series and the Pony Club Secrets books. 3) Feel even less guilt over DNFing– I’m admittedly pretty good at this one already, so next year I’d like to just wipe the guilt altogether. I hate the feeling of not enjoying something lots of people did, and feel so guilty about not finishing them/what people will think of that decision, but next year I’m going to attempt to stop worrying about it quite so much. 4) Read some Shakespeare– since we started doing exams, I no longer get the chance to read Shakespeare at school. Before, we read two (A Midsummer Night’s Dream and the Merchant of Venice, the latter of which I fell in love with) and I thought they were fab. I want to read at least 2 or 3 this year, if I can hunt down good editions. 5) KEEP BLOGGING– is this bookish? My blog has the word books in the title, so I’m counting it, and I have lots of bookish content evem though I’ve branched out to a few other things too (and intend to do so even more in 2018). No matter what happens over the next year, I’d like to remain as a blogger. I honestly love doing it and I’ve met so many amazing people through it too. Thank you so much for reading! Do you have any resolutions for 2018? I’d love to hear about them in the comments or on Twitter @GoldenBooksGirl! The Summer of Telling Tales – this was beyond heartbreaking. It’s a tough but hopeful read, and reminded me of Jacqueline Wilson at her very best. I think this is massively underrated, so if you get a chance to read it (I stumbled on my copy at the library, for example) please, PLEASE do. The Exact Opposite of Okay -I feel so lucky to have read this already, seeing that it isn’t out till next March. It has a wonderfully witty narrator who made me snort and cackle multiple times and I think a lot of people are going to fall in love with this when it’s released. This Beats Perfect- A wonderful boyband YA, with a really nice romance and a prontagonist I loved, as well as a superb cast of secondary characters. I also just really liked the writing style, which felt unusual but I can’t explain how, and I’m looking forward to the sort of sequel that’s due out in February. The Graces– this was so chilling and creepy it gave me goosebumps in places, and I couldn’t put it down to revise for my French exam (which I read it on the day of… oopsies). I passed though, so my love for this book remains very much in tact. Also, the last line is GLORIOUS; roll on the Curses right now please! Radio Silence – This was another book from my last week of exams, which I also read in a day (the day of my Modern Studies exam). The thought of going back to this got me through a challenging paper, and it’s just phenomenal! Aled is one of my favourite characters ever. Stargazing for Beginners– I read this after a bit of a reading slump, around the start of May I think, and it’s just wonderful. Meg is such an inspirational, yet flawed and realistic character, and watching her struggle with caring for her little sister after their mum jets off and abandons them is so sad in places. Her friends, such as Annie, are hilarious, and I also loved her romantic interest Ed. The Empty Grave- this was pretty much the perfect finale to a pretty much perfect series. The trademark drama, humour and adventure combo was as slick as ever, and the characters continued to be exceptionally awesome in every way. And it made me cry at the end! Wing Jones– I read this at the start of 2017 and it got me through the very difficult night before my MRI scan (which I find really difficult). Wing’s journey of finding her passion for running and falling in love is stunning from start to finish, and I adored the magical realism element. Moxie– This is a fierce, feminist read that’s guaranteed to make you want to start your own revolution. It tells the story of Viv as she starts up her own zine and creates the Moxie movement to shake up her sexist school. EDIT- I forgot a book! One of the most special things I’ve read this year is Forever Geek by Holly Smale, which was the final instalment of one of my favourite series (Geek Girl). I am MOST ashamed that I forgot it, but it’s definetely worth going over my 10 books. What have your favourite YA books of 2017 been? Do we share any choices? I’d love to read your list if you have one! Let me know in the comments or on Twitter @GoldenBooksGirl! Hello everybody, and welcome to day 19 of blogmas! 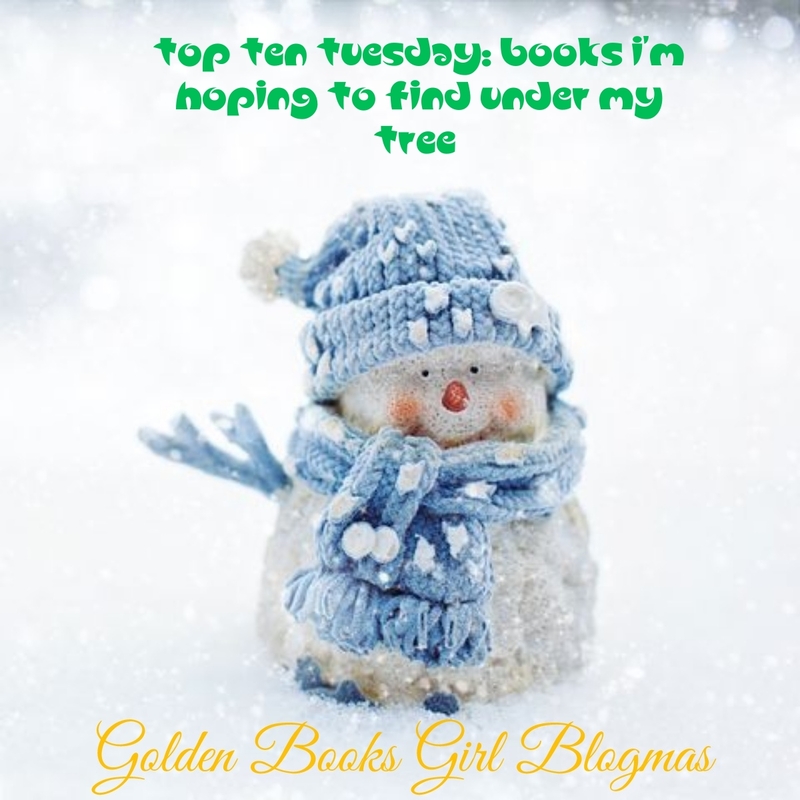 Today, I’m taking part in the Top Ten Tuesday meme, hosted by the Broke and the Bookish, for which the theme today is books we’re hoping to get for Christmas. The Last Duchess by Laura Powell– I’ve heard this is similar to a few books I love (such as the Murder Most Unladylike Mysteries), and I’d really like to give it a go for that reason. I love historical mysteries and I also really like Upstairs, Downstairs sorts of things focusing on servants (such as Frost Hollow Hall by Emma Carroll) as it’s an area of history you don’t see that often. Queens of Geeks by Jen Wilde– this one’s had very mixed reviews, so I’m interested to see what I’ll think of it. It sounds like a fun read though, and I’m willing to try it. Gabriel’s Clock by Hilton Pashley– I’ve had this recommended to me by a few bloggers I really trust, and the concept is intriguing. I also loved Hilton Pashley’s guest posts during the blog tour for Michael’s Spear (the final book of this trilogy) so I want to see if I enjoy the first book. Troublemakers by Catherine Barton– I’ve only seen good reviews of this, and I’m interested by it as it touches on political issues, which is something I don’t see directly in books often. This Careless Life by Rachel McIntyre– I was a huge fan of Rachel McIntyre’s previous releases, and though I know this is quite different sounding in tone/subject matter I’d still very much like to unwrap it on Christmas day. I love a good mystery, and I’m hoping this might be similar to One of Us Is Lying. Della Says OMG by Keris Stainton– even though this is a few years old now, I saw a hugely positive review of it recently and I’m very much hoping to recieve this. It sounds like the mix of serious and fun I always enjoy when done well too. Jessie Hearts NYC by Keris Stainton- I read and liked One Italian Summer by this author earlier this year and thought the worldbuilding of the Italian settting was exceptional, so I’m looking forward to to seeing her take on New York (which I adore as a setting in general). Frostblood by Elly Blake– I’m pretty fussy with YA fantasy (I vastly prefer the MG variety) but this sounds like something I’m likely to enjoy. Here We Are Now by Jasmine Warga– I love stories with long lost family members reuiniting, I’ve heard brilliant things about this one and I’m adding it to my Christmas wishlist as I’ve had my eye on it since before it’s release. 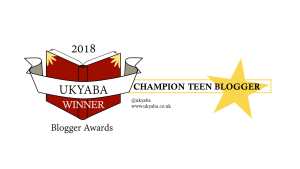 Rubies and Runaways by Janine Beacham– I really enjoyed Janine Beacham’s debut Black Cats and Butlers earlier this year, and I really want to read Rose’s second adventure soon. It’s set at Christmas too, so it seems like the perfect book to read soon after if I get it. I think this is quite different to other MG mysteries out at the moment, mainly due to the AMAZING, super cool secret society of butlers. What books are you hoping to recieve this Christmas? Have you read any of my list? What did you think of them? Let me know in the comments or on Twitter @GoldenBooksGirl!